The Duke and Duchess of Cambridge went to the event in a vintage Rolls Royce Phantom together this morning. Prince William was donning in full military ceremonial regalia while stepping out alongside his wife, Duchess Kate, who was wearing a stunning teal dress. 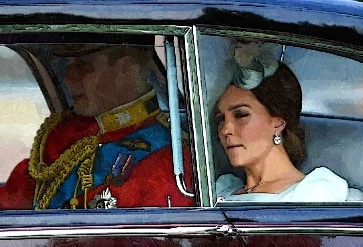 Meanwhile, the Duchess of Cambridge and the Duchess of Cornwall were also spotted while sitting together in the Queen’s carriage procession, which celebrated Her Majesty’s official birthday. The annual ceremony is believed to have first been performed during the reign of King Charles II. The parade marked the official birthday of the Sovereign, even though the Queen’s actual birthday is on April 21st.